Got a better gag for this pic? Leave it in the comments! And that's all 72 cards for Series One! You now have until the end of September to offer your better gags for each of these, and in October, I'll post the final versions of these cards here as well as on the "Random Acts of Geekery"! 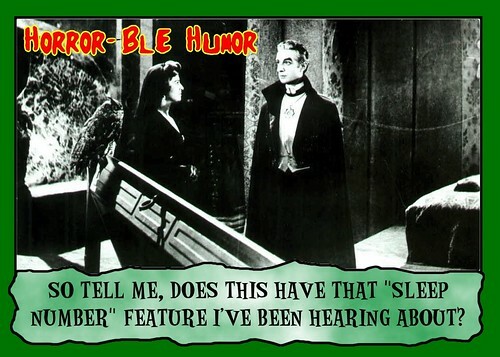 That's my best gag for this card... what's yours? There has got to be funnier gags for this photo than the one I came up with! Is there a better choice for the TV show she missed? Or is there just a funnier gag to use... let me know in the comments! If you can think of a funnier gag than this, leave it in the comments! Yes, it's a second Food Network gag! Maybe a different funny line occurs to you? Got a better gag for this card? Leave a comment! Original card series ended with card number 66, but I'm not stopping there... I've got six more of 'em! 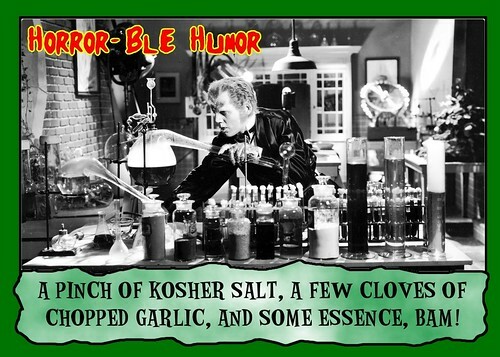 Welcome to Horror-Ble Humor Monster Cards! 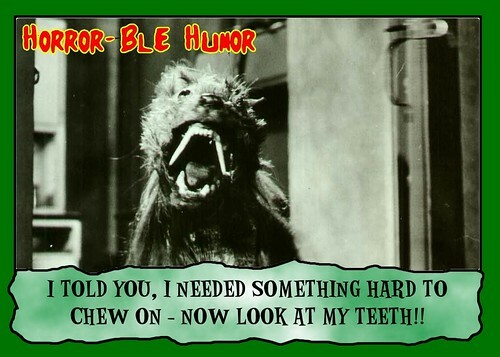 Remember the funny (or supposedly funny) monster cards of your youth? Well, they're back, in virtual form anyway! 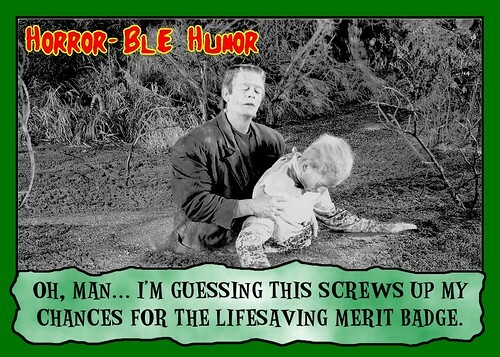 I've created a set of 72 monster cards, and came up with some funny (or supposedly funny) captions of my own... Can you think of a funnier one than the one I did? Add your own funny caption in the comments section -- and if I think yours is funnier, I'll use that for the final form of these cards... and you'll get credit on the "back" of the card your caption is used on! 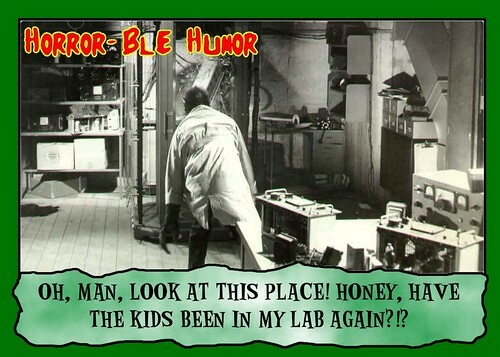 All 72 cards will be posted over the summer, and in September 2010, I'll finalize the cards, and post printable front and back sides here, as well as on Random Acts of Geekery as part of the Countdown to Halloween!